Further customize your Hinderer XM-18 with a replacement titanium nut set. This set is designed to fit 3.5" XM-18 models. 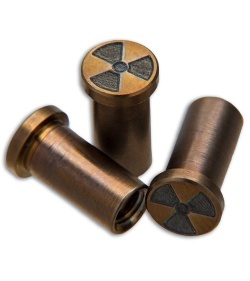 This "Nuke" set features a nuclear symbol and a bronze anodized finish.